Keep your Lawn equipment investment running right with our Flat rate Spring Service Special! 30 Point Spring Service Special includes all labor, fluids, filters, and free delivery! Don’t wait for the grass to start growing, protect your investment by scheduling today and save big on your annual maintenance! Milford, NJ and Flemington, NJ based, Milford Mower is Hunterdon, NJ and Bucks, PA's premier Outdoor Power Equipment Store and Small Engine Service Center. Offering Sales, Service, Parts, and Rentals of industry leading brands. Serving Construction, Landscaping, Excavating, and Consumer clients Milford Mower strives to bring customers the best in reliability and small engine expertise; utilizing a consecutive three generations of eperience, and continuous training in the mechanical trade to ensure the highest quality experience for any customer. Check out our Industry Leading Brands Below. Latest Deals. Coolest Tech. What we're up to. 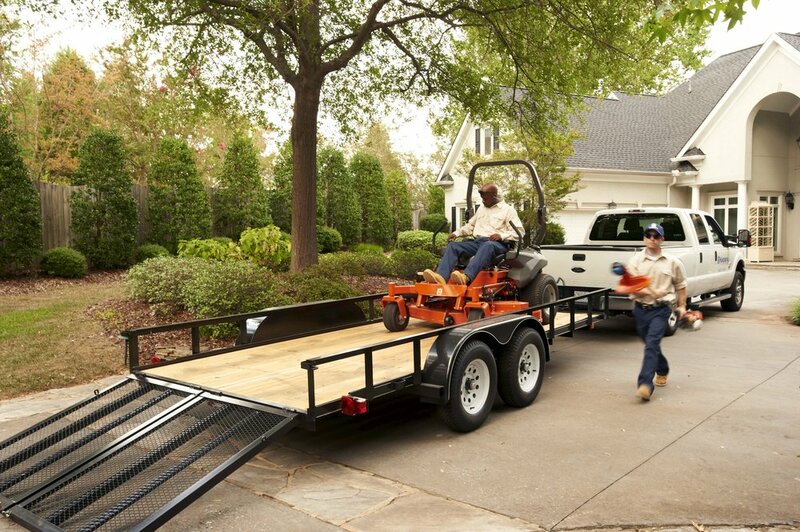 With local, round trip delivery rates starting at $40 for truck bed service (small equipment), and $60 for trailer service (ride-on equipment), we bring experienced and trusted local drivers to you; with the safety of your property and equipment in mind, our drivers are expertly trained and make sure to steer clear of any obstacles on your property like fence posts, mailboxes, and even your delicate lawn, and always make sure to protect your investment by securely strapping and transporting with care. Whichever you prefer, connect with us on social media below!